African sky offers both privately guided safari tours as well as fly-in safari packages to the Kruger National Park. Over a twenty year period we have made safaris to Kruger an unforgettable experience for many people. Stretching across almost two million hectares of pristine lowveld in northeastern South Africa, the Kruger National Park is a storied wilderness area. It is more, however, than the country's top safari destination. 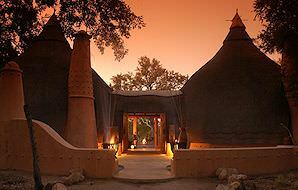 It is a haven for countless wildlife, from the tiny duiker to the mighty African elephant. It is where travelers, local and international, go to replenish their souls and stand in awe of nature's inherent majesty. Our Kruger Park safaris are aimed at providing guests with more than just prolific Big Five game viewing. It is about a spiritual encounter with the African wilderness, a visceral reawakening of the senses. This wild Eden will creep into your heart and lure you back time and time again. Every time you venture out on a game drive is a novel experience, spiked with excitement and the promise of another memorable sighting. To ensure that all guests' needs are met, we offer a varied range of safaris to the Kruger Park, from guided overland adventures to plush and pampering fly-in packages. Regardless of where in the Greater Kruger National Park you may find yourself and how you choose to explore, you will undoubtedly find the experience to be an unforgettable one. A privately guided overland safari to the Kruger National Park will typically depart from Johannesburg and take the scenic route through the Mpumalanga province - a drive of around five hours. You will enjoy game drives at your leisure, conducted by your own African Sky guide in an air-conditioned vehicle. The rest camp accommodation is basic, but comfortable and serviced daily. Our personal four star Kruger Park safaris offer an appealing combination of afford ability and a private lodge experience. Without breaking the bank, you'll enjoy luxury accommodation, scrumptious meals three times a day and scheduled open-air 4x4 game drives in the early mornings and late afternoons. These lodges are either on private concessions or in one of the neighboring reserves. The luxury five star safaris that we offer to the Greater Kruger National Park incorporate sumptuous safari lodges that are more moderately priced than the top-end options below, yet still provide exceptional service and exquisite accommodations. Game viewing activities include scheduled open-air game drives and optional bush walks in the mid-morning. 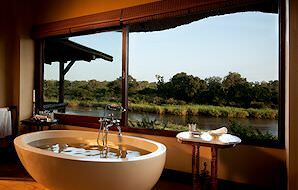 Only the cream of the crop of Kruger Park safari lodges are included in our exclusive top-end packages. From Lion Sands Ivory Lodge and Londolozi in the Sabi Sand to Singita in the Kruger Park, these opulent properties defy any star rating. The service is personal and intuitive, meal times border on Michelin star and the game viewing is simply phenomenal. If you have your eye on a particular lodge or a specific combination of properties and experiences, reach out to us with your requirements and we will tailor your Kruger Park safari from scratch. With so many accommodation options to choose from, it can be overwhelming. Be sure to detail your needs (family-friendly, tented-style, wheelchair-friendly) to ensure that we match you appropriately. Experience three distinctly different regions of the renowned Kruger National Park on a privately guided overland safari. This exclusive five star fly-in package couples the Greater Kruger Park's most esteemed private game reserves - Mala Mala and Sabi Sand - with their finest lodges. Experience the best of both worlds on this five-day safari that blends a guided overland adventure with a sumptuous stay at a private four star lodge in the Sabi Sand. This fantastic value for money safari travels overland from Johannesburg and includes comfortable rest camp accommodation, along with your own personal African Sky guide. The Kruger National Park's biodiversity statistics are nothing short of astonishing: Almost 150 different species of mammals; more than 500 identified bird species; 118 reptile species; 35 amphibians; 53 species of fish, and nearly 2000 different species of flora scattered across five distinct eco-zones. These factors combined make for the most rewarding and prolific game viewing experiences imaginable. For your safari in the Kruger National Park, you'll have a great variety of accommodations to choose from. There really is something to suit every budget or interest, from bare-bones camping with your own tent to the opulent safari lodges tucked away in remote corners of the park and the private game reserves that share an unfenced border with it. The Kruger National Park offers easy safari access. You can travel comfortably overland from Johannesburg - a drive of around five hours, depending on the entrance gate - fly commercially (around one hour) to one of four different airports, or be chartered to an airstrip in one of the private game reserves. The park's great infrastructure also makes self-drive and privately guided safaris possible. 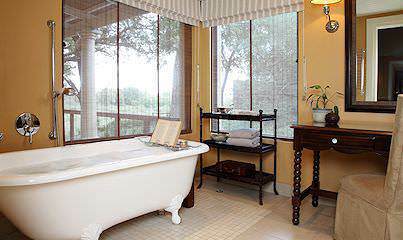 Relish sumptuous accommodations and prolific Big Five game viewing. Enjoy rewarding safaris & the potential of spotting the rare white lion. Klaserie is the third largest private reserve in the Greater Kruger. With only three lodges, traffic in Manyeleti is blissfully low. The sound of the bushveld coming alive at night is nothing short of magical. Along with the typical chorus of crickets and the hoots of owls, you'll feel your spine tingle at the not-so-distant roar of a lion, the eerie laughter of a pack of hyenas, and the reverberating grunts of hippos out to feed. Watching Africa's majestic predators - lion, leopard, cheetah, wild dog - stealthily stalk and take down their prey is something that stays with you. There's something visceral about it, and the rapid succession of emotions - suspense, sympathy, reverence. You'll undoubtedly find yourself in awe of this circle of life. Often the most rewarding sightings involve simply stopping the vehicle and observing the interactions within a pride of lions, a herd of elephants or a troop of baboons. The hierarchal structures, the quarrels, the affection and the frolicking are all fascinating to observe. How often are game drives conducted on a private overland safari? This depends entirely on you. If you'd like, you can spend the entire day exploring the park and looking for wildlife. Your guide will plan your route to ensure a lunch stop at a picnic site or another rest camp. Alternatively, you can venture out for shorter trips and relax in camp at your behest. Simply discuss your preferences with your guide. Where will we enjoy our meals during our overland safari? As meals are not included at the park's rest camps, we provide a stipend for breakfast and dinner on a daily basis as part of your package. These meals are served at the rest camp's restaurants, which are typically made up of standard local franchises offering fare like burgers and sandwiches. Besides game drives, are there other safari activities that we can enjoy? Yes, but this depends largely at which rest camp or private lodge you are staying at. At an additional fee, guests staying in rest camp accommodation can embark on guided morning or afternoon walks, accompanied by a park ranger. Bush breakfasts and dinners are also offered, and even mountain biking trails at select camps. At private lodges, an optional bush walk is typically offered between breakfast and lunch at no extra cost. Which part of the Kruger National Park offers the best game viewing opportunities? The best areas for Big Five game viewing are typically south of the Olifants River, particularly camps like Satara (the 'cat camp'), Lower Sabie and Skukuza. Lower Sabie and Skukuza benefit from the bounteous flow of the Sabie River, while the savanna surrounding Satara supports a wealth of plains game species (and the predators that prey upon them). It must be noted, however, that sightings can never be guaranteed. The Kruger Park is a wild place, and its animals are equally so. Should I opt for a private overland safari or a fly-in safari? This question is often a topic of hot debate, but it depends largely on your budget, and then on your interests. If your budget is modest, you prefer a relaxed schedule and you enjoy the challenge and thrill of spotting your own game, an overland Kruger Park safari is the ideal option. If you have some funds to spare, relish the finer things in life and prefer a more intimate experience, choose a fly-in package. I have specific dietary requirements. Will the lodges / rest camps be able to accommodate me? Most of the time, yes. The restaurants at the park's rest camps serve a wide variety of meals and can easily cater for vegetarians. If you have any allergies or require halal or kosher meals, be sure to communicate this to us early on so that we can liaise with the lodges or reach out to the park's restaurants. We have small children. Will they be allowed on game drives? While many private lodges have age restrictions on children staying at the lodge itself (eg. no children under 12), most have open-air game drive restrictions for children under 6 (it may vary from lodge to lodge). This is usually for both the safety and comfort of guests, as a child that is moving around a lot or making noise may disturb the game viewing experience for others. Note that there are no age restrictions if you are traveling overland with an African Sky guide, as your vehicle will be private and closed. On a separate note, the Kruger Park is a malaria area, and malaria medication is not advised for young children. It may be a better idea to explore one of South Africa's many fine malaria-free Big Five safari areas, like Madikwe, Pilanesberg, Shamwari and Addo. 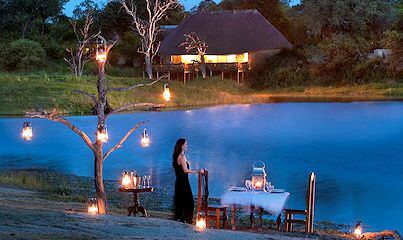 Which private game reserve is the best? 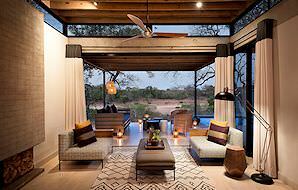 The Sabi Sand is widely considered the best of the Kruger Park's plush extensions. This is largely due to the wealth of luxury lodges, and the extraordinarily high frequency of leopard sightings. It must be noted, however, that reserves with less traffic could offer superior game viewing. Do not overlook lesser known reserves like Manyeleti and Balule, nor the private concessions within the park itself. Which airport will I be flying to? If you've opted for a fly-in package, the airport will depend on which camp or lodge you are staying at. Phalaborwa, for example, caters to guests who are exploring the northern reaches of the park, including camps like Mopani, Shingwedzi and Punda Maria and lodges like The Outpost. 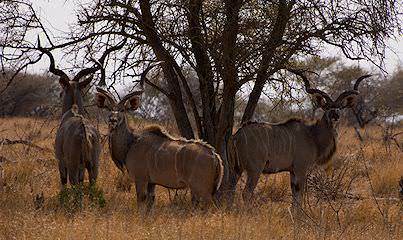 Hoedspruit is for the central areas of the park, as well as game reserves like Timbavati, Klaserie and Balule. 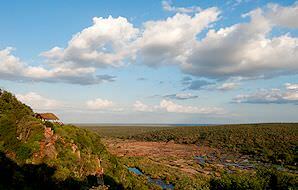 Nelspruit (Kruger Mpumalanga) serves the southern region of the park and the Sabi Sand. The best and most convenient access, however, is via Skukuza Airport within the park itself. Your game viewing begins when you step off onto the tarmac. South Africa's most popular safari destination is the Greater Kruger National Park. Botswana is a paradise for nature enthusiasts, boasting ample wildlife. Namibia offers unique desert-oriented African safari experiences. 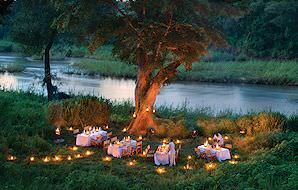 Zambia's wilderness areas may be arduous to reach, but offer truly rewarding safaris. Travel to Zimbabwe for an extraordinary view of the Victoria Falls. Mozambique is a tropical paradise of fine beaches and colorful coral reefs. The Kruger National Park is a storied wilderness area that is revered for its remarkable diversity and stunning scenery. Immerse yourself in bewitchingly wild environments while enjoying every creature comfort and premium game viewing. 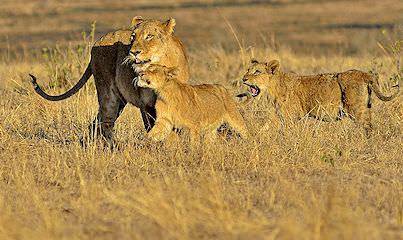 The Big Five are the continent's most illustrious mammals and are particularly captivating to observe on safari. The African lodges included in our safaris are often endowed with plush extras like private plunge pools and outdoor showers.